Let us explore some of the B elements involved in writing a Novel today! Did you know that most of the writers who start writing a novel give up after the first few chapters? A novel requires the writer to be regular in their writing habits. If you start writing daily, showing up at your work desk with an enthusiasm to match, your novel will soon see the light of the day. But if you are plagued by doubts, or you are busy being busy, you might not show up daily to write and your writing would suffer. Build a routine by virtue of which whatever happens you would add to your word count daily. Even if it is a single sentence, a single paragraph or 100 words. Do it regularly and you will be able to move towards your goal of completing your novel. Commit yourselves to spend a few minutes towards this passion that you have. Create a writing routine. Spend the first 30 minutes after you wake up to write. Spend the last 30 minutes before you sleep to write. Set small goals. A 500-word count daily would add up to 15K words at the end of one month. Do the math and you will realize how much you can achieve in six months’ time or in a year. The average word count of a novel is between 50K-80K words. Invent backstories for your main characters to flesh out your characters. What incidents in their past have defined their present. You might not use them all in your book. But you will get a better picture of this character you have created. But practice moderation while using them in your manuscript. A beta-reader is someone who reads your manuscript before it is published. Beta-readers give useful insights that help the writer to understand how a reader will react to their book. You can ask someone to read every chapter you write immediately after you complete one. This will give you a regular feedback regarding how your book is progressing. In the initial stages of your writing, choose a well-wisher or fellow writer friend to beta read. A negative feedback when you are just beginning will not help in any way. Once you finish your first draft, you should ask a different person (not your first beta reader) to read it. If he/she is a professional, better. 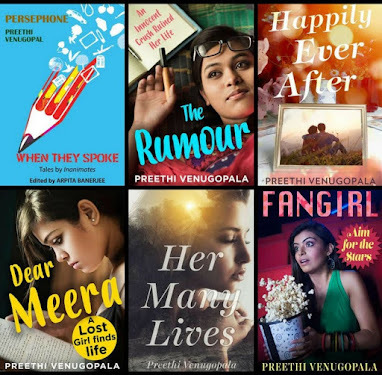 He/she should be someone who loves reading the genre you are writing in. Select one who will encourage you and give constructive criticism. Not someone who claims they will be brutally honest. People who claim they are brutally honest are usually just brutal, never honest. So run for your life if someone tells you that. Don’t send the manuscript of your romance novel to a person who reads only thrillers. They might just discourage you by saying your book is too mushy. Similarly, show your work only to persons you can trust. In this age, plagiarism is very much rampant. People don’t hesitate to steal other’s work and pass it off as theirs. If you are writing on your PC or laptop, always remember to create a backup file for your manuscript. Electronic devices can crash anytime and your months of work can vanish in a second. Though they are methods to recover files from crashed hard disks, it always helps to be on the safer side. Create multiple backups for every important word file you create. Email them to yourself. Store them on cloud storage or Google drives. Or on external hard disks. If you are writing in longhand, take photocopies whenever possible. Have you read the Letter A ? 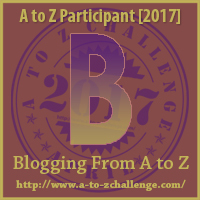 Hi, from the A-to-Z Challenge! I always need a reminder to back up my computer...it seems like the time gets away from me more often than I know. Once my harddisk crashed making me lose so many of my treasured memories. since then, I backup every single file on my PC and laptop. Glad you are finding these tips useful, Vinodini. 20K is quite a good progress. All the best to you. Very good points. I am trying to form a regular writing routine. One reason I am doing A-Z too, so that I can set a daily writing habit. And back up!! I thought I had lost parts of my writing, I thought I'd have to start afresh, but thankfully I had emailed it to myself. Phew! I have not come to the stage of beta reader but that's an important one too! Like our body muscles need regular exercise, our writing 'muscles' too need exercise. Writing routine is a hard practice to build but the most important one. Those are some amazing tips. Even for a blog, having a regular writing schedule helps. Those are wise words, Ramya. If one can understand this in their 20's then nothing like it! Well said! 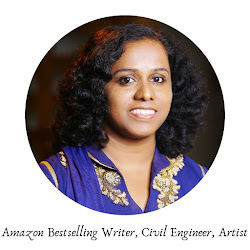 Thank you for reading, Shalini! Thank you Afshan. Yes, after going through such a loss once, I give it utmost importance. Yes! Without strict routine it might take ages to finish a novel. Glad you found the tips useful. Thank you for reading, Dipanwita. Glad you are liking them. Nice post! Some good tips for people who are starting on the path. Good reminders. Beta readers are invaluable, as they point out things I would usually never see. A routine really helps when you write. I had a routine for four or five years and I wrote an incredible amount of words. Then my routine was disrupted and I've written very little sinse then. But I know, what I nee dis to build my routine back. 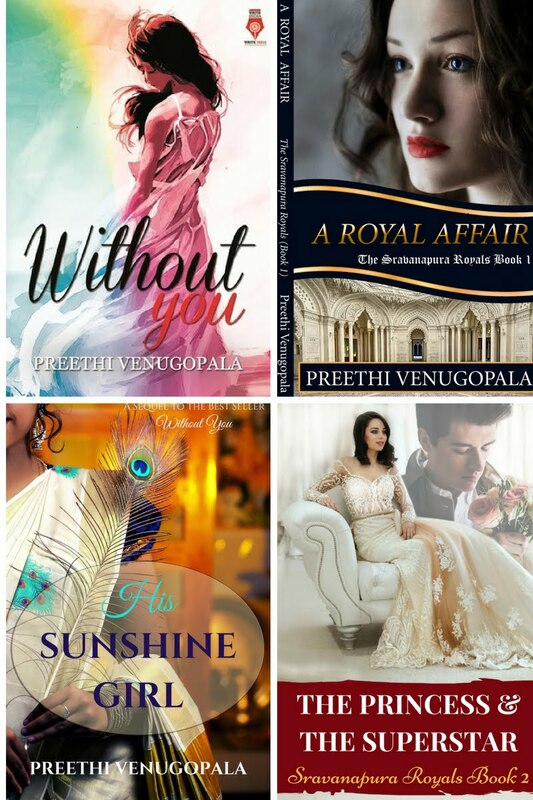 Great job Preethi .Beta reader of the write niche. Building a routine is so important but i am someone who hates routine!! !